Power Up has helped transform small change into big change throughout the GVEC service area. This charitable program is funded through the generosity of participating members who round up their electric bills each month and donate the extra pennies to Power Up. 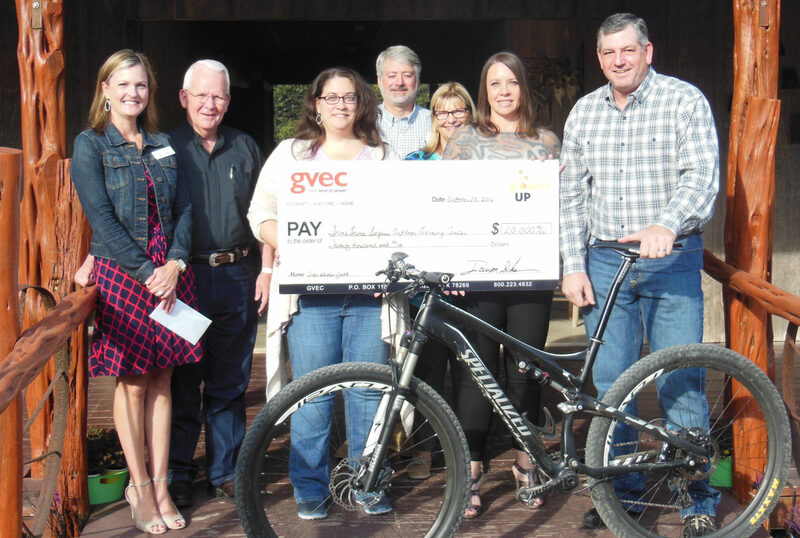 Eighty percent of available Power Up funds are awarded as grants and distributed biannually to nonprofit groups engaged in community improvement projects benefitting GVEC members. Twenty percent is used for community assistance, distributed monthly through local Council of Government (COG) offices to help low-income and elderly members pay their electric bills through Bill-Pay Assistance. Members may opt-out of the program at any time. To learn more about the Power Up program, click the appropriate link: Power Up FAQs or Bill-Pay Assistance on the right side bar. To see articles about featured Power Up grant recipients and various community projects, visit our blog. To apply for a Power Up grant, click the button below.